When W found the camper trailer of his dreams, I had not a whit of surprise when he casually mentioned that it was in Brisbane. Without looking at a map, I concluded that this was possibly the furthermost point of Australia from Perth, and that I would be the one popping down the road to pick it up. W would drop in at Brisbane and we would drive in the direction of the Top End and the actual road trip we had planned. Some alone time I thought! How rare and precious. 5522 kilometres later I can report that the novelty wore off about 8 hours into the drive, but am awakened to the magnetism I possess when it comes to men in the sunset of their sixties. 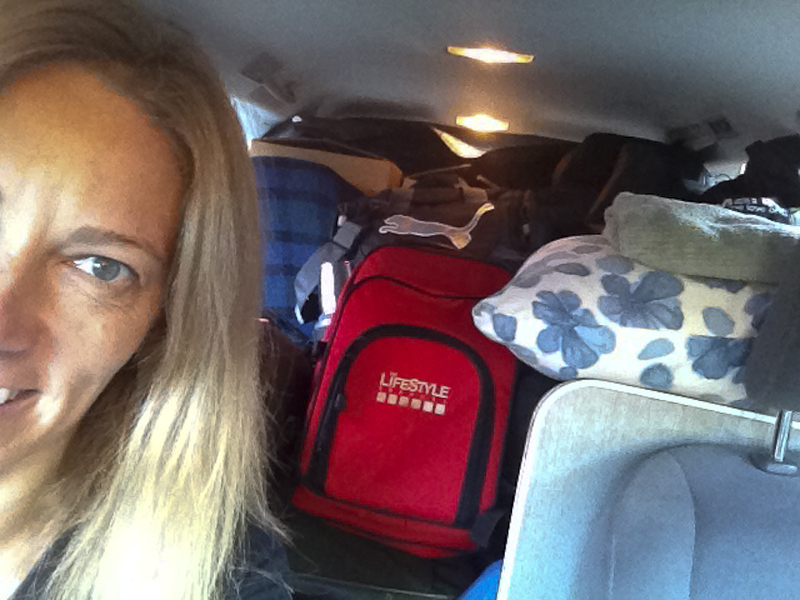 Denied a rear view by everything one imagines one needs for camping and five weeks on the road, there was room left for one small Chihuahua (no turning circle), as I left Perth and headed East. TomTom assured me it was around 750km to Fraser Station, so I sat back, educational podcasts running, and settled in for a 4:30pm arrival. As the appointed km mark, dusk descended, TomTom threw his virtual arms in the air and claimed that was all he had. According to him, we were there. Still driving a tense 130km later, I spotted a small sign in the darkness. Glad to avoid a roadside sleepover or the desolate town of Norseman (where a certain petrol station has magic pumps that charge you for more fuel than your petrol tank actually holds) I got to enjoy the fantastic facilities at Fraser Range, and met the first of what would be a clutch of newly retired (and I suspect newly single) men on epic solo cycling journeys from one side of country to the other.